This is Kensuke Kuse of Momoi fishing. I started work in April, this year. 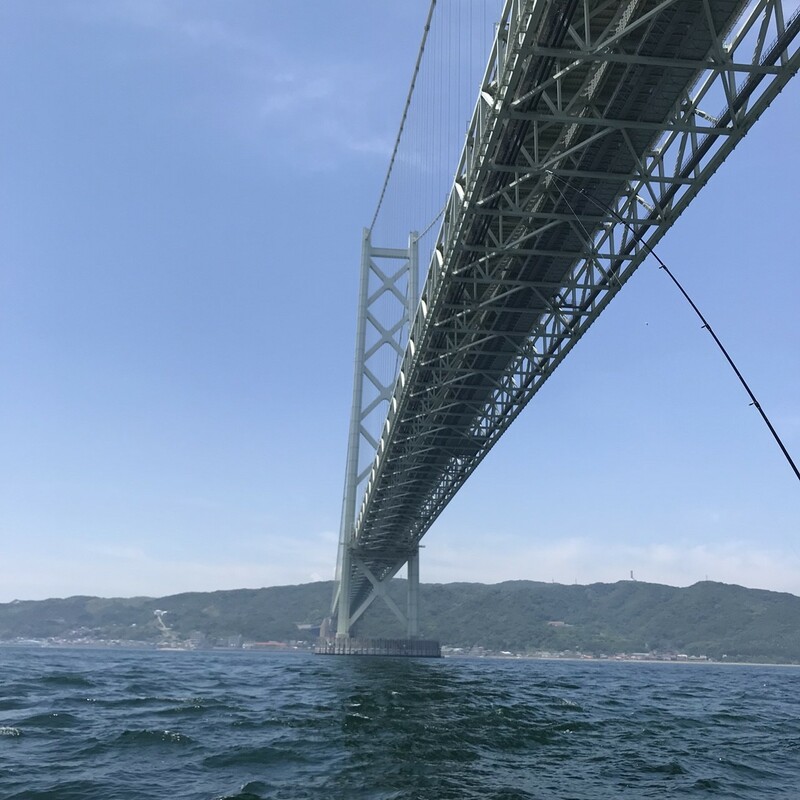 Momoi fishing team went boat fishing to Akashi in Hyogo prefecture. Main target was Red seabream. We use the lure called “Tairaba.” “Tai” is red seabream in Japanese and “Raba” comes from Rubber. 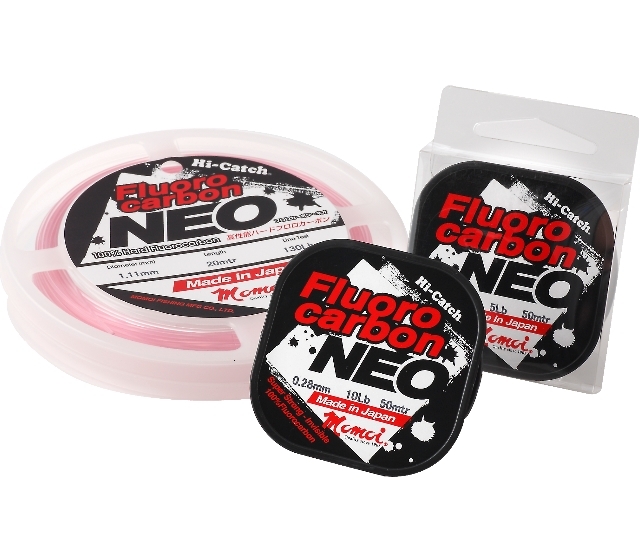 It is composed of sinker, hook, and silicone rubber. The member was Ken, Keito, Shogo, Risako and me. I love fishing since I was young and I have been fishing for 12 years. But, boat fishing was my first time. I could not sleep very well, because I was excited the day before. So, I was very sleepy until started fishing. At 5 a.m., we arrived at the port of Suma in Kobe city, Hyogo prefecture, and started preparing for fishing. 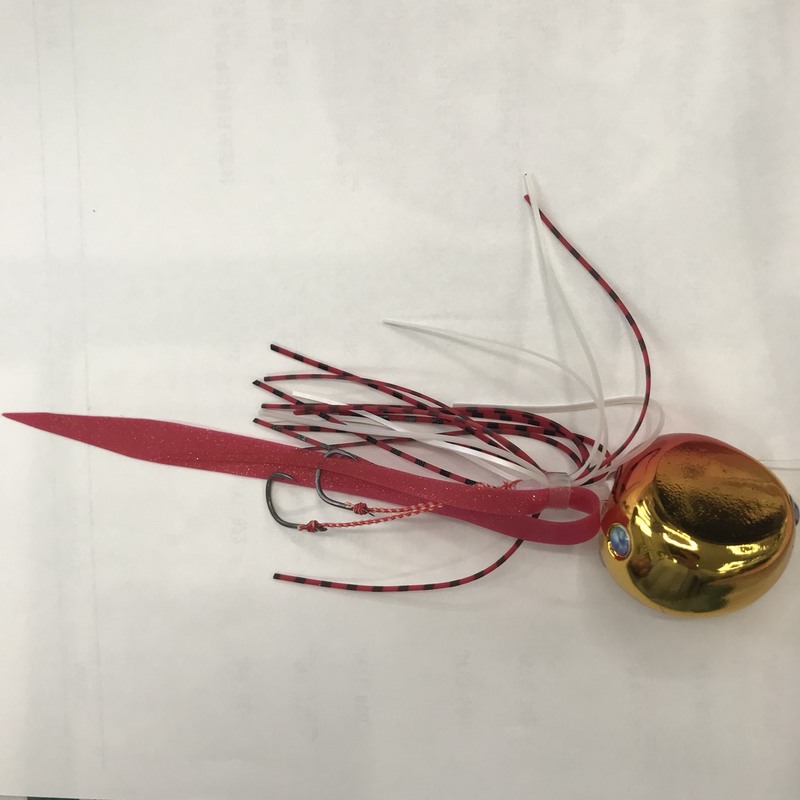 I made FG knot carefully so as not to break the knot even if a big Red seabream hit. I used MOMOI SHOCK LEADER for the first time. 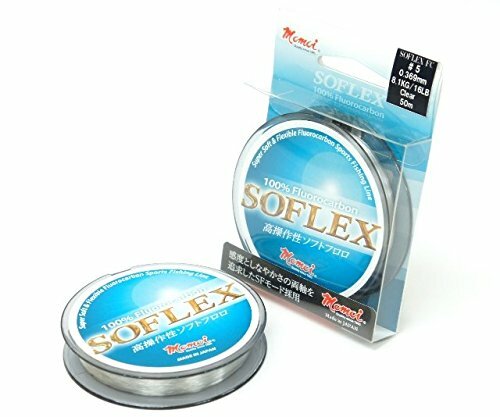 I felt that it is flexible compared to Fluorocarbon, so it is very tractable and very easy to knot! I can’t go back to other leader lines!! This time, I used MOMOI JIGLINE MX8 PRO #0.8 0.14mm 18LB class (Main line) and MOMOI NYLON SHOCK LEADER 0.28mm 12LB (Leader line). After making line system, I chose which “Tairaba” to use. 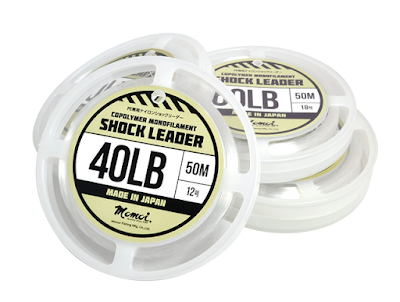 As a result, I chose the Red 100g “Tairaba” which is recommend by skipper. We took the boat and went to the fishing points. We had a great time seeing beautiful view of sunrise. 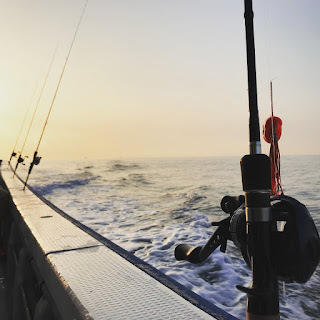 If I don’t go fishing, I will not have much opportunity to see sunrise. The best part of fishing is that! While I thought such a thing, the boat was arrived. Everyone started fishing with sign of skipper. Fishing with “Tairaba” is first time for me, so I started fishing with boat crew’s help. First, I must drop “Tairaba” to the bottom, and reel immediately. Reeling is most important of this fishing. I have to reel with constant speed. If the moving speed of “Tairaba” changes, Red seabream watches out for it and will never bite. So, I also have to try not to move tip of rod. Skipper announces to us the range with many fish, so we drop and reel that range. 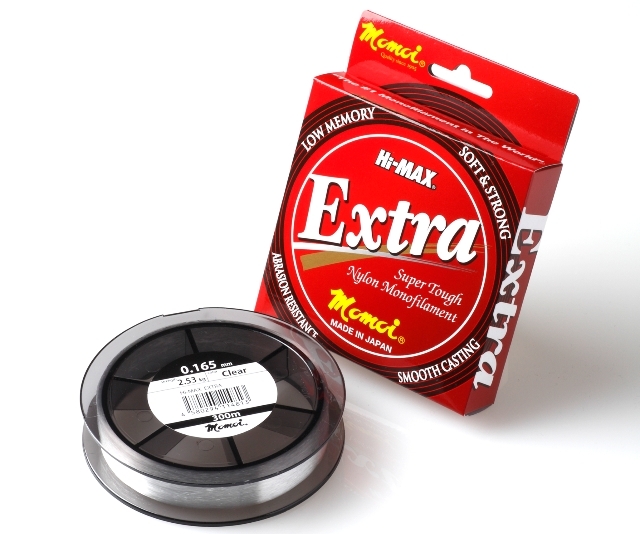 If there is no bite, it is effective for fish to reel with constant speed slow or fast. 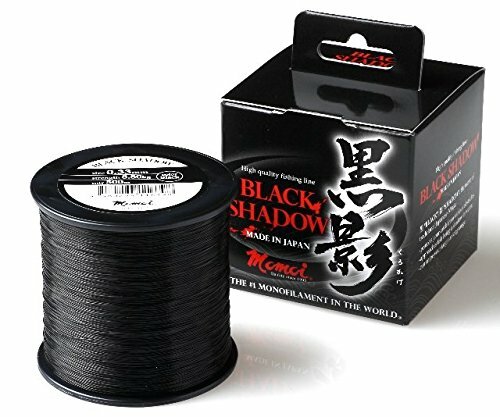 In case of getting bite, I must continue to reel without hooking. If I try to hook up, there is a high possibility of missing fish. This fishing needs high concentration. 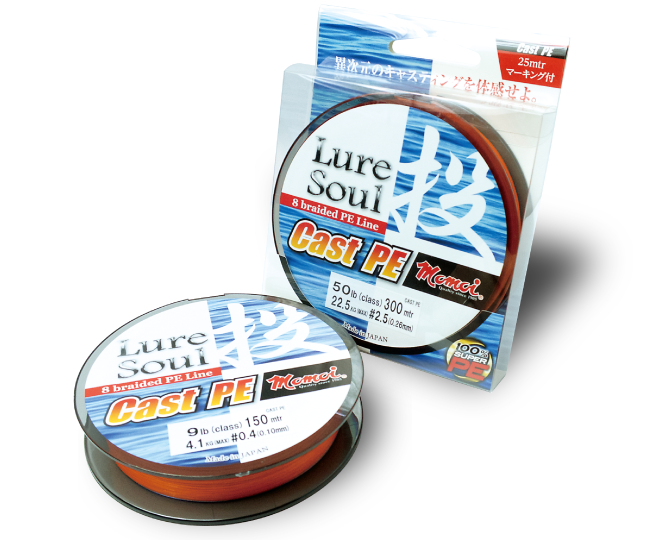 This time, I used tackle for Large mouse Bass, because I didn’t have it for Red seabream. 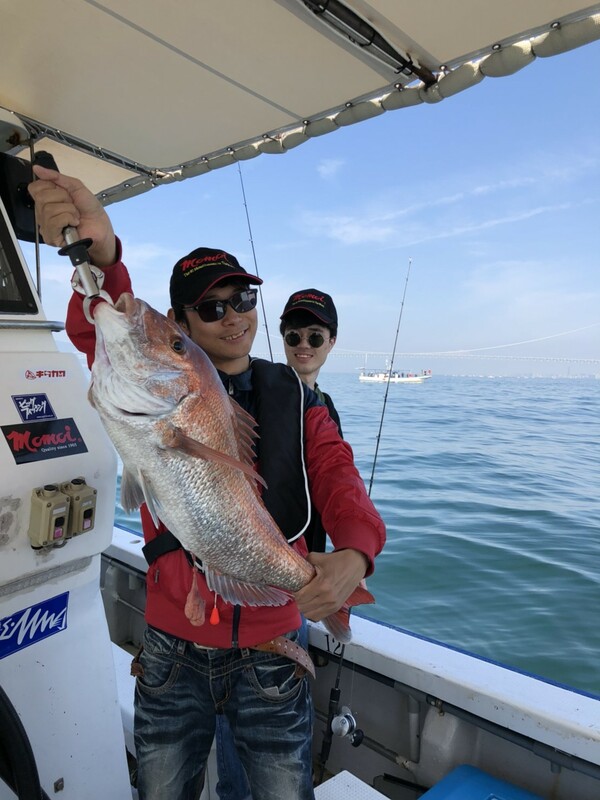 The reel for Red seabream has meter counter which can measure water depth. On the other hand, my reel didn’t have such a meter counter, but it is OK!!!! MOMOI MX8 PRO is multi-color line with different color every 10m, so I could notice “Tairaba” reach the bottom. Person who is not MOMOI team got a bite! First fish was caught within 30 minutes after started fishing. The size was 30cm which is not so big, but everyone on the boat were excited. I said “I will definitely catch fish today!” in my mind while looking for that fish. In fact, Keito and I went fishing to Port-Island yesterday. I got up at 4 a.m. and start fishing at 5 a.m., but we couldn’t catch any fish. I said “I will definitely catch fish today.” in my mind. Not only me but also any members of MOMOI had never got bites. I said that “Perhaps I can’t catch any fish. 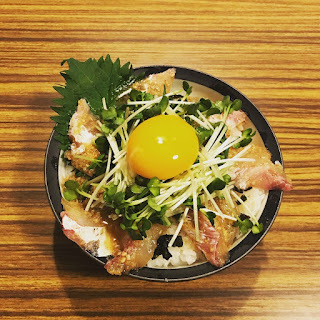 I want to eat Red Seabream…” in my mind. She is my colleague and hadn’t almost gone fishing. “Wow!! !” Team MOMOI are excited. Everyone watched the fish and very surprised. 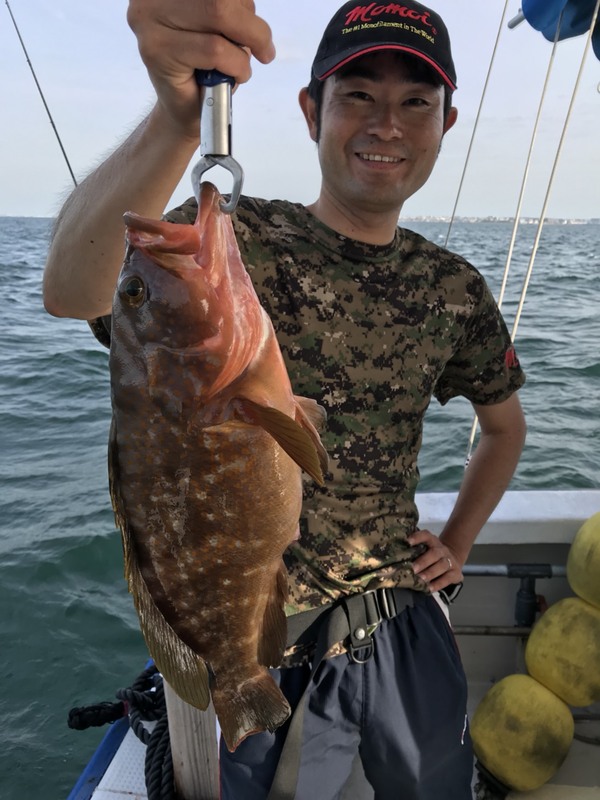 Fortunately, it was Red spotted grouper! 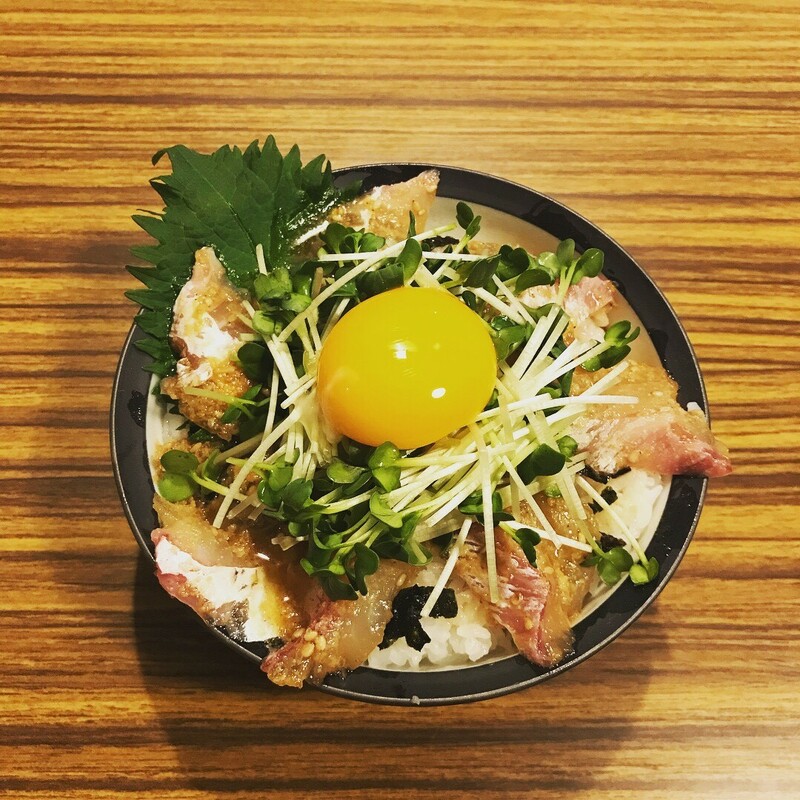 It can be rarely caught in Inland Sea and known as high-quality fish. Needless to say, it is very delicious. As she caught such a fish in boat fishing, she will be into fishing. I thought that she would buy her tackle next month. I was scooped by colleague. Impatience makes the reeling speed faster. I tried to reel in slow speed, and got bite!! Everyone paid attention to me. 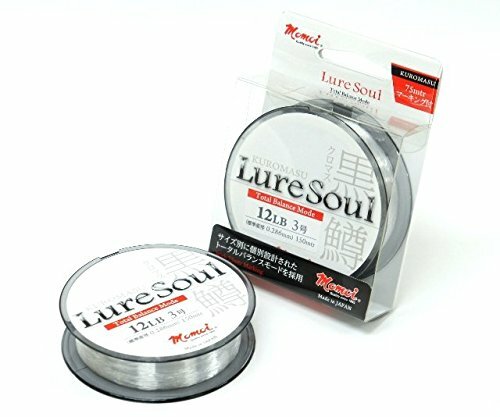 I hooked with full power due to extensive experience with bass fishing. I said “Oh my God…” in my mind. The fish ran away from my lure. In case of “Tairaba”, don’t hook definitely. 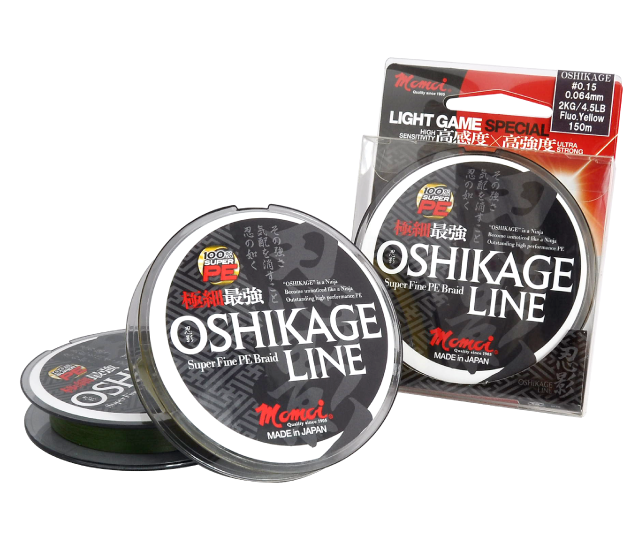 If we get bite, must continue to reel without hooking. We didn’t have no bite later. The boat continue to move the points, and went through under the Akashi-Kaikyo Bridge. I watched from below and I was overwhelmed by the size of the scale. I thought that who built the bridge was great! But, I had no time to be impressed by such a things. 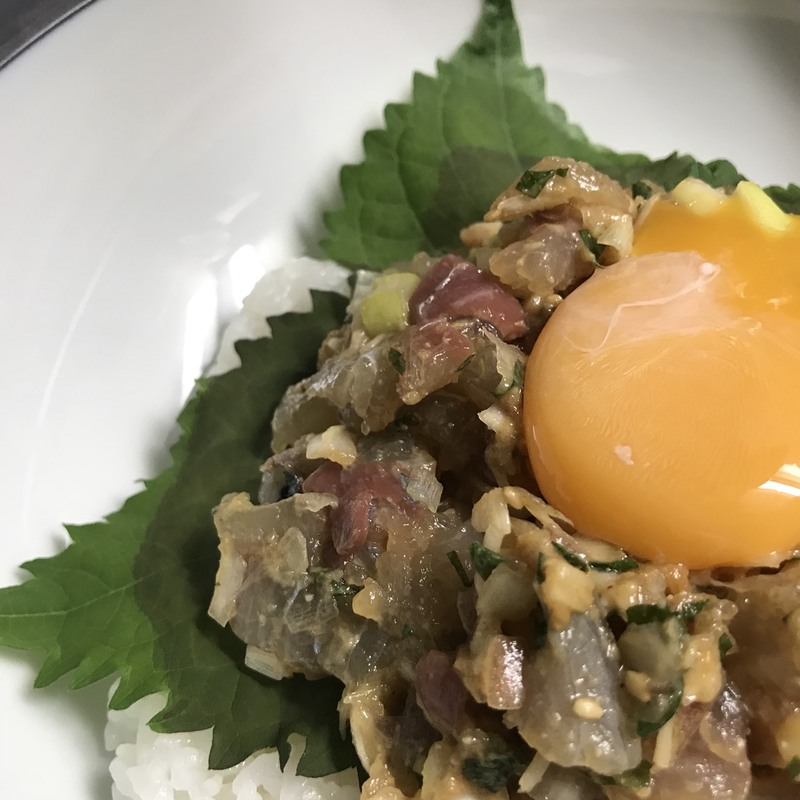 I must catch Red Seabream. 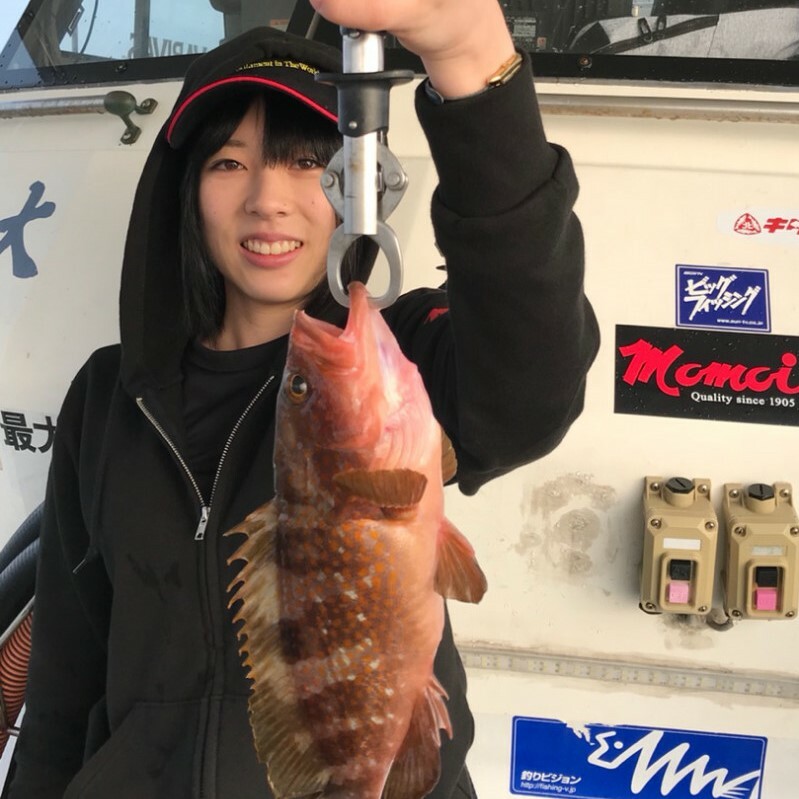 People other than team MOMOI, had caught some fish. The condition was not so bad. It was up to me whether I can catch fish or not. 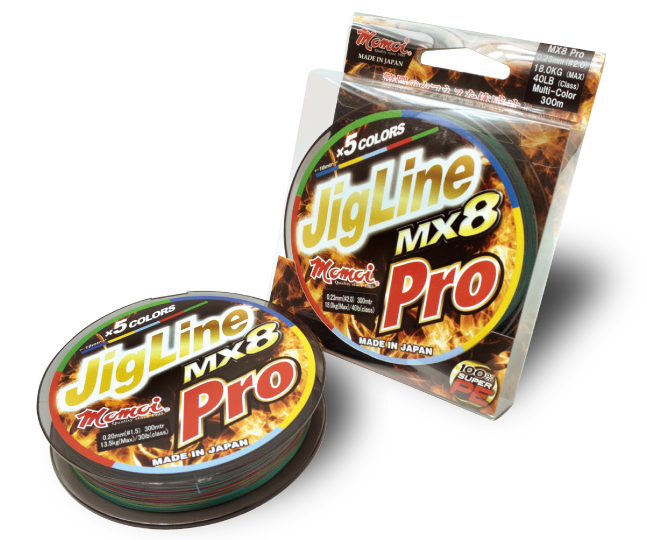 I committed myself to retire from fishing, because I put pressure on myself. I thought that the pressure will fulfil my potential. I must catch fish to continue fishing in the future. “Please bite!!! !” I prayed for that. It was not mine, but Shogo’s!!!! I wondered if the fish is yellowtails from bending of it at first. There is no doubt that it was the largest Red Seabream which was caught that day. Shogo reeled carefully and slowly not to be ran away. The fish was very powerful!! Everyone on the boat paid attention to Shogo. “……It’s very large!! !” Everyone said. Surprisingly, it is a very large Red seabeam of almost 70cm. People on the boat praised his good fight. I was very excited to watch the big fish, because I watched such a big Red seabeam for the first time. 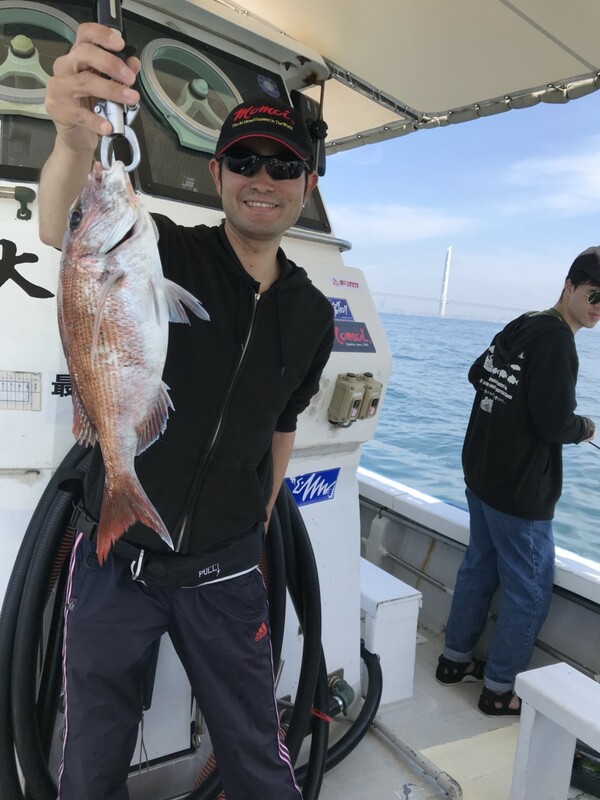 I was satisfied with watching Shogo’s fish, so I thought that I didn’t mind catching any fish. When I basked in the afterglow of the fish and, I got comfortable bite to my fishing rod! This time, I started reeling without hooking. I was very excited, but reeled very carefully. 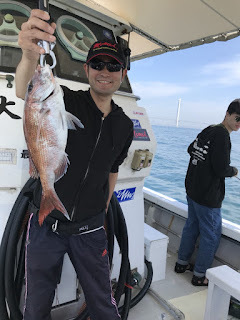 As a result, I caught Red Seabeam of 39cm. 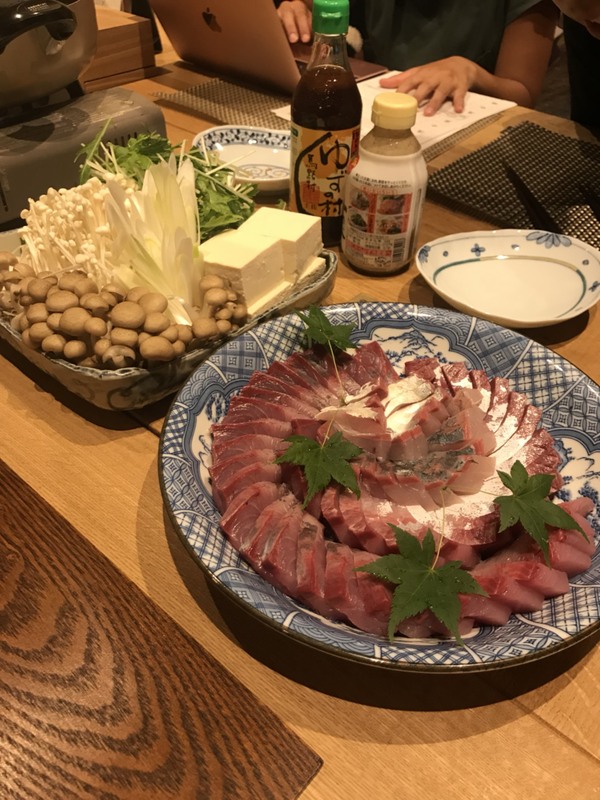 It is far behind Shogo’s fish, but it was precious fish for me! I was relieved to catch the fish. 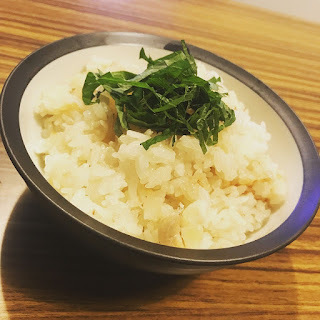 I thought that I could finally enjoy from the bottom of my heart, but then I caught only one rockfish. We finished fishing at 1:00 p.m.
That day, Ken caught most of the fish. At first, his condition was not good, but he was getting the hang of it. 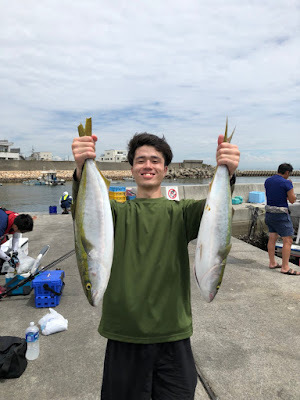 Finally, he caught 3 Red Seabream and the maximum size of the day was 50cm. As a result, Ken caught the best on the boat. He was lucky to enjoy fish drawing in 3 times. Our catch of team MOMOI was as below. There was no one who could not catch any fish. After the boat arrived at the port, skipper removed the nerve and blood from all of the live fish. I felt the Skipper’s wish that all members would nave fish in good condition. I was deeply impressed by it. 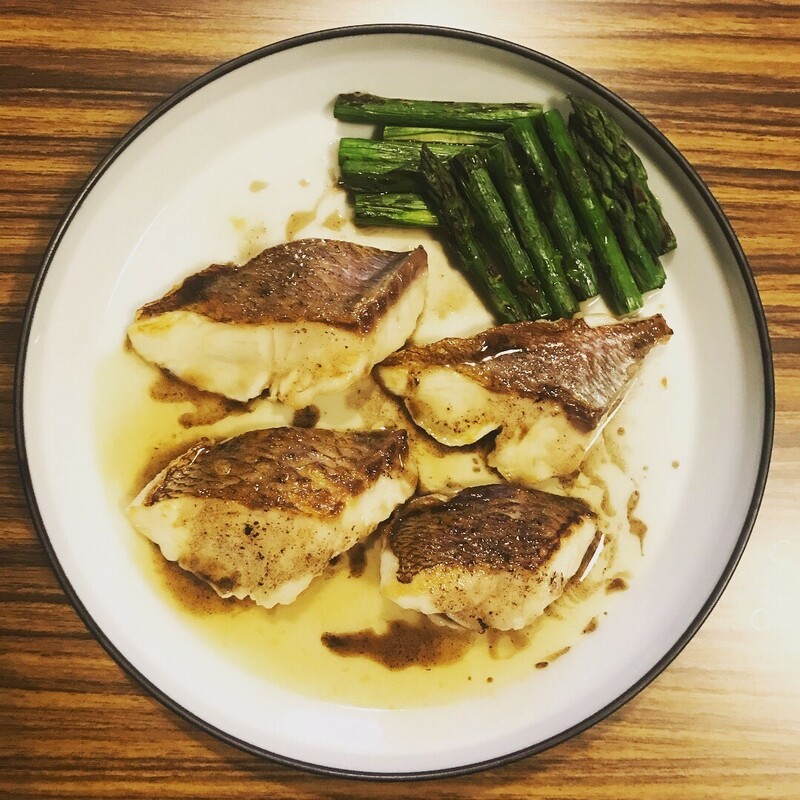 After I came back home, we cooked and ate Red Seabream very deliciously! I felt that the fish I caught as twice as delicious. I will be into “Tairaba” fishing definitely and will go fishing soon. 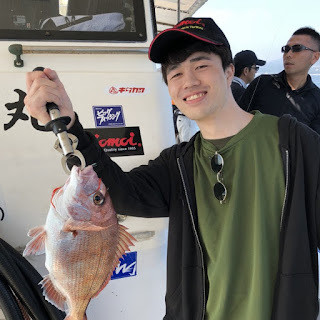 Please looking forward to the next fishing diary.